The Church Services Resource Group provides business support to those who lead our state, associational and local ministries. This support encompasses budgets and finances, insurances, ministry vehicles, conference logistics, printing, and office facilities. By handling these details of life and ministry, others are freed to pursue the Great Commission unobstructed. 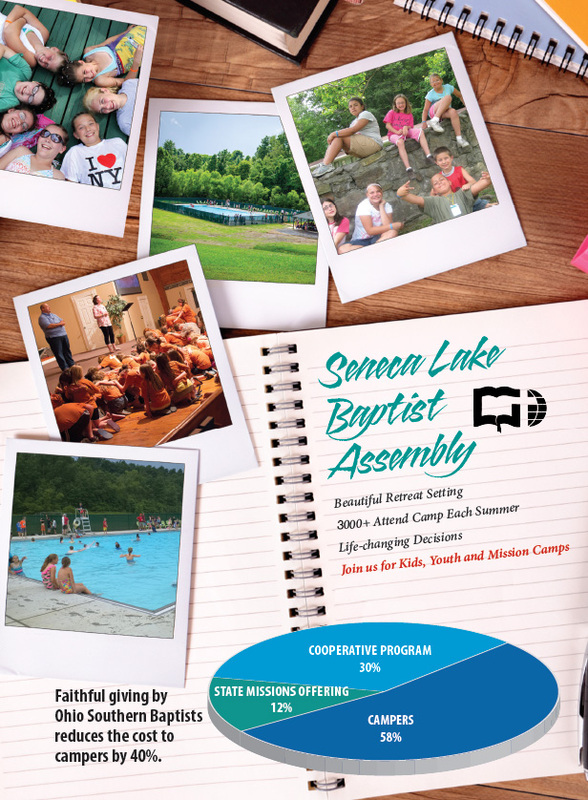 In addition, Church Services receives and disburses Cooperative Program mission funds, maintains your camp grounds at Seneca Lake Baptist Assembly, assists pastors and staff with tax seminars, and aids churches with 501c3 status. In the early part of each year, the Church Services Resource Group offers educational 'tax seminars' to help churches and pastors stay current with tax laws. We offer a compilation of the most significant tax changes since the prior year, best practices for churches and ministerial staff, and a question and answer time. Keep an eye on our calendar to find a seminar coming to your area. Southern Baptist churches in Ohio that support the Cooperative Program and who submit an Annual Church Profile are eligible to request church loans up to $10,000. Maximum loan term is 10 years and interest rates are equal to the Federal Prime Lending Rate. For a loan application or Loan Rules and Regulations, see attachments below. In addition, college scholarships are offered annually to members of Ohio Southern Baptist congregations who desire to further their Christian education. Requests can be made by downloading the scholarship application below.